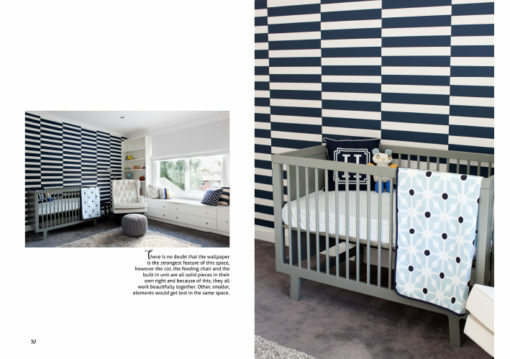 Interior Designer, Belinda Nihill, shares her favourite babies’ spaces and also many of her expert secrets and tips to create the perfect room for the newest member of your family! 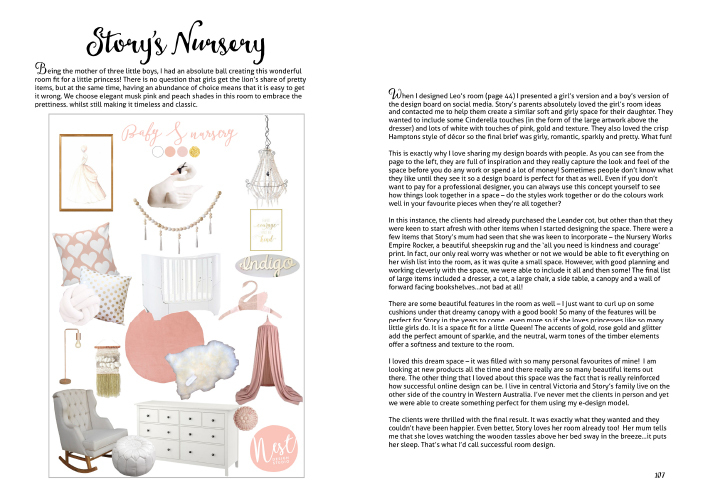 As well as nursery tours from 13 stunning spaces, Belinda shares each client’s design board and explains just how the room came to be. 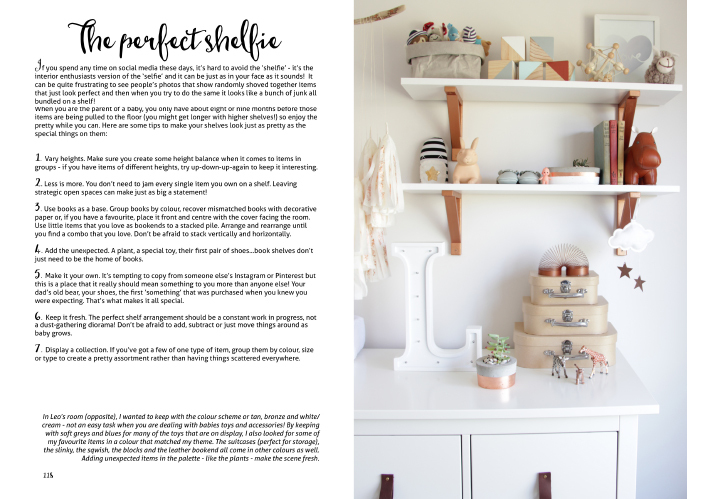 She also offers some great advice as to how you can style a pretty and practical space for baby. 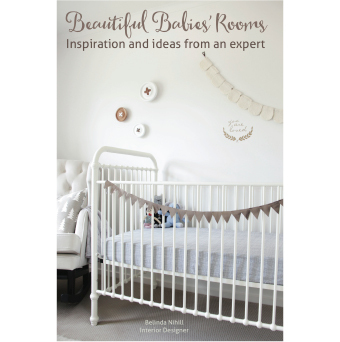 Beautiful Babies’ Rooms is 126 pages and printed full colour on a lovely recycled paper. Sized at 6″ x 9″, it’s the perfect size to fit in your baby bag when you’re out and about and the matte laminate cover (on paperback) or shiny hardcover ensures that little spills will easily wipe clean. 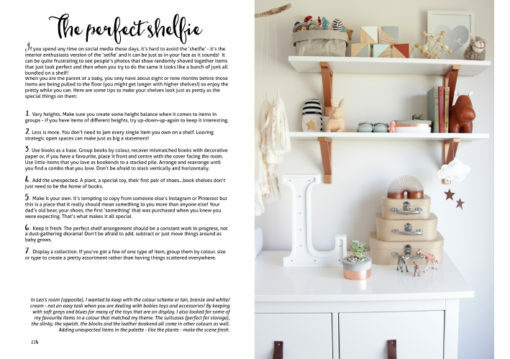 Belinda is a qualified Interior Designer with over 15 years in the industry and she is also the owner of Nest Design Studio and lives in Central Victoria, Australia. 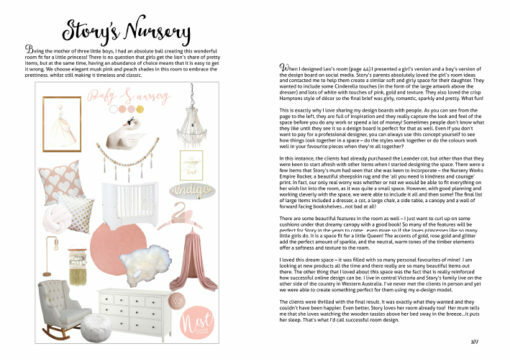 Her work has been showcased online and in magazines worldwide and she has designed over 600 beautiful spaces for little ones for clients in every corner of the globe.